West Virginia. 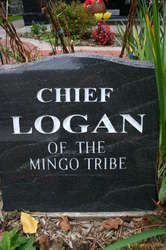 Coal, more hill people, and things with the name Mingo and Logan on them. 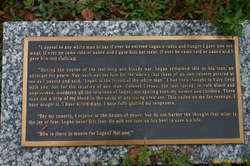 My Father's original name was Logan, from his father, from West Viriginia. 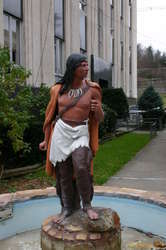 Who was part Mingo indian. It was pretty cool being here. Would have liked to have taken some pictures of the big coal yards and so forth, but nowhere to park a car very well. Same with the local scenery and architecture. Got some pictures of a neat statue though.